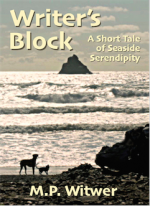 This entry was posted in Announcements, Select Stories eBooks and tagged beach, cat, dog, ebook, M.P. Witwer, writer by Select Stories. Bookmark the permalink.